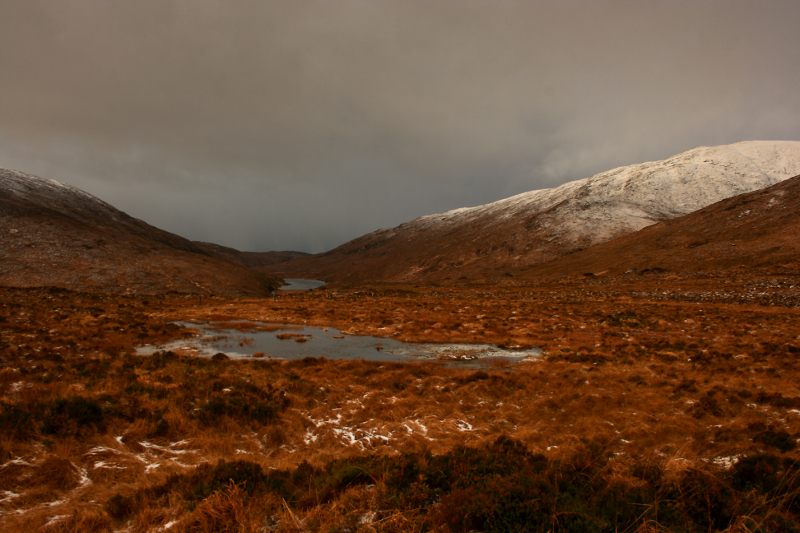 Just a few days before Christmas I had an errand in Donegal town and decided to stop on the way for a walk in the Bluestack Mountains. 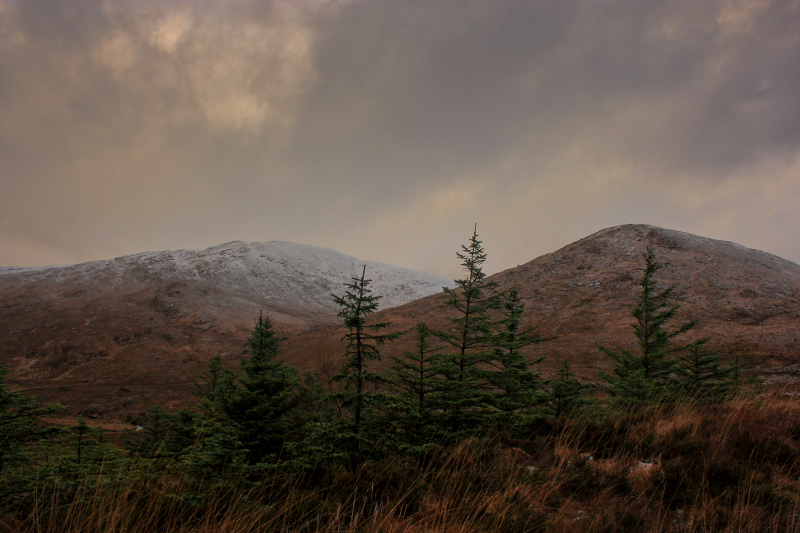 My plan was to climb Browns Hill and Croaghnageer, and maybe a few smaller hills too. Unfortunately, the weather had other ideas and for the first time, I was defeated by a mountain. 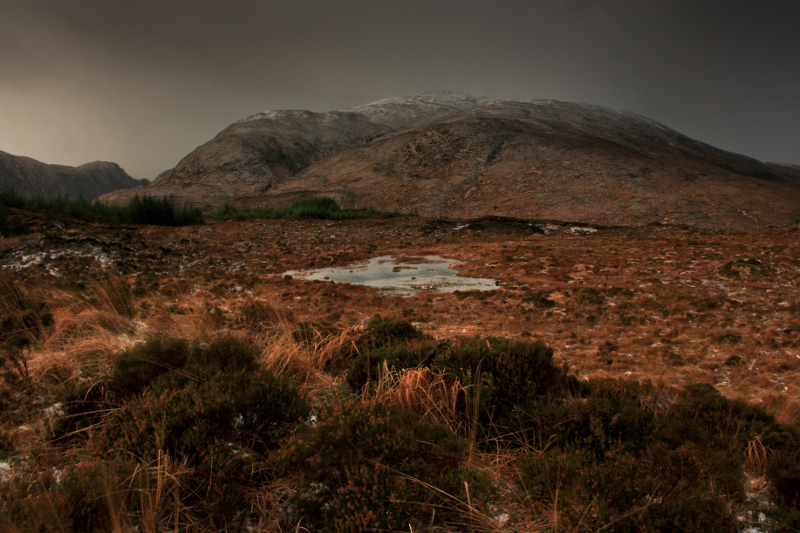 The shot below was taken at about 11.30am and the darkness and threatening skies gave an idea of what was to come. 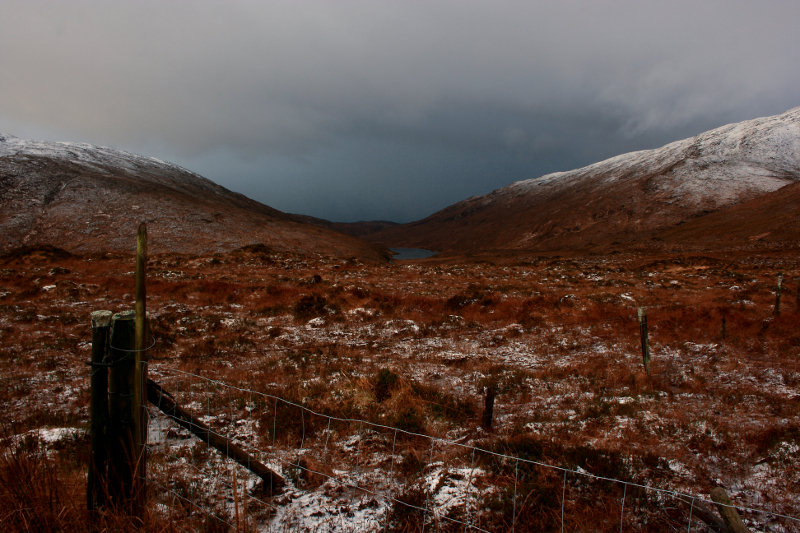 The photo was taken on the approach to Barnes Gap from the East at Lough Mourne. Walking up a forest track towards Browns Hill, the weather worsened with rain and strong winds turning to snow. although so far, only lying on the higher ground. 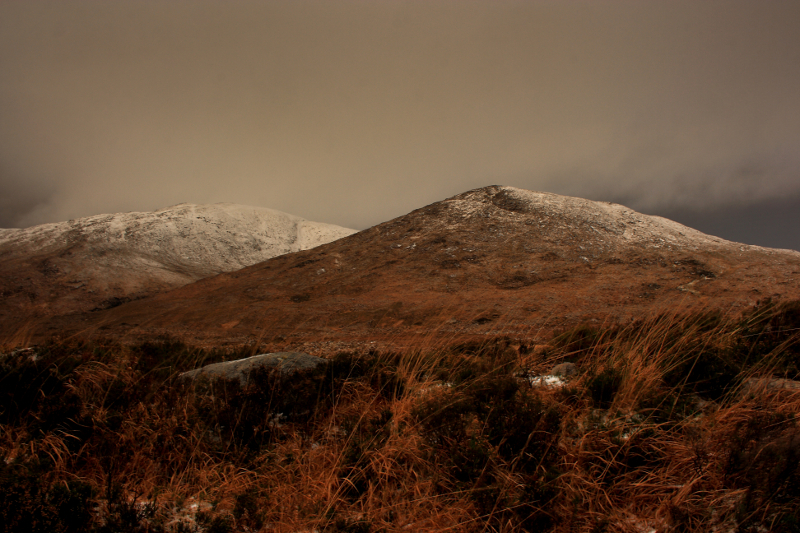 The photo below shows Browns Hill and Croaghnageer. Croaghonagh on the right and Croaghconnellagh on the left. 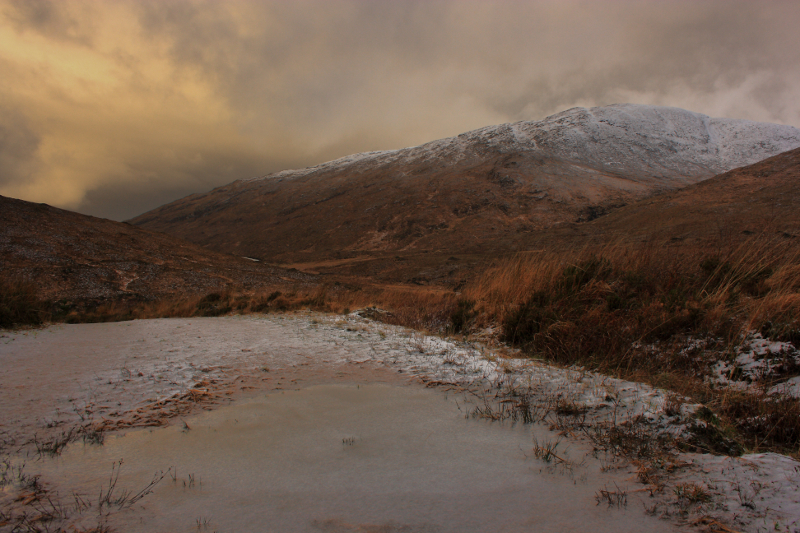 Frozen bog pool and a snow-capped Croaghnageer. 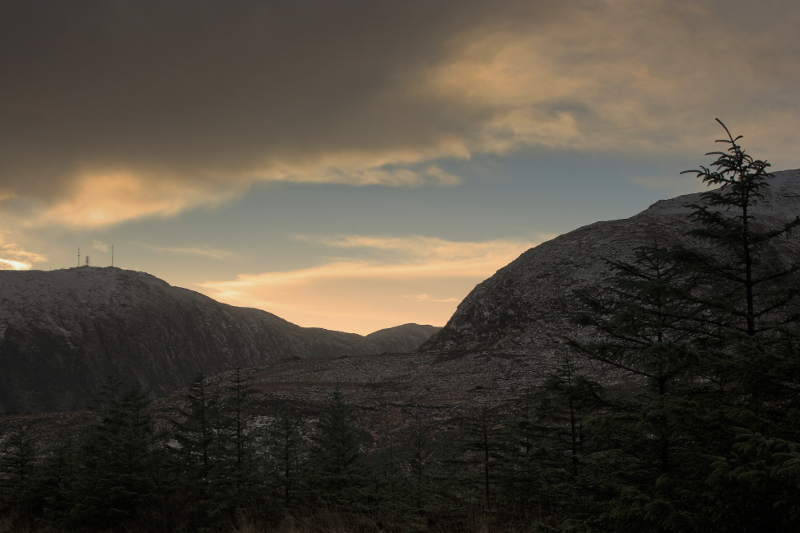 Browns Hill with Croaghnageer behind. 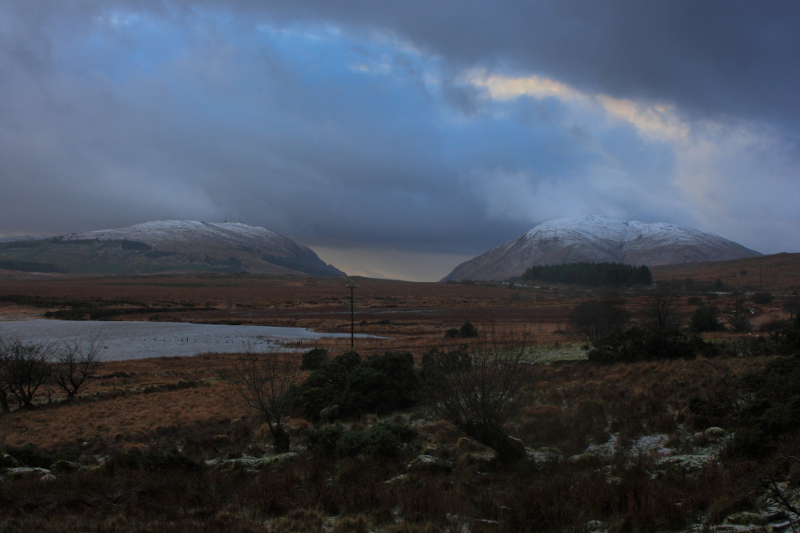 Croaghconnellagh and Croaghnageer with Barnes Lough in the hidden valley between. Minutes after the above photo, a wall of black cloud enveloped the mountains, and extended far down into the valleys. The wind picked up further, and snow turned to horizontal hail which stung the face and made it impossible to open my eyes when facing into the wind. It would have been impossible to see and navigate due to this cloud and hail if I’d gone any higher, and along with a few rumbles of thunder, it was enough to persuade me that my planned summits could wait for another day. Despite the retreat, it was great to experience the extreme weather, even if it was at the foot of the mountains, and I can only imagine what it would have been like at the top. I’d got a few photos I was happy with too and was glad I’d ventured out. 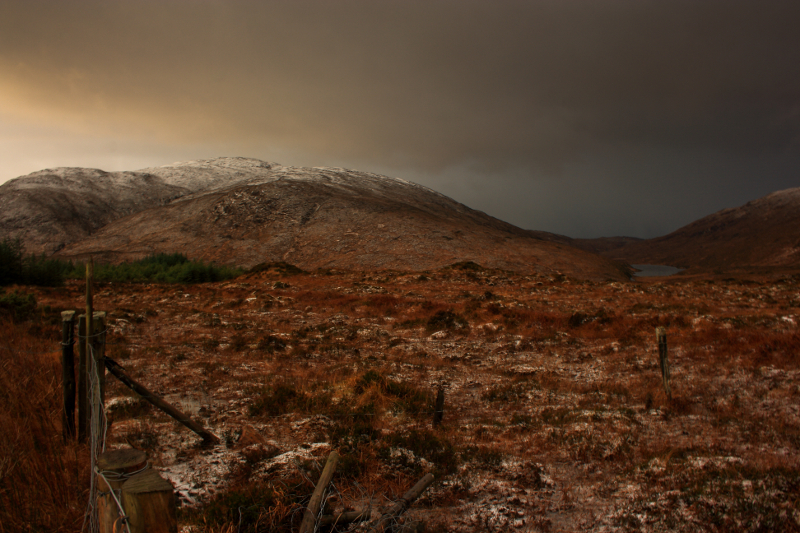 Posted in PhotographyTagged Bluestack Mountains, Browns Hill, Croaghconnellagh, Croaghnameel, Croaghonagh, Donegal, Ireland, Mountain, mountains, WinterBookmark the permalink.